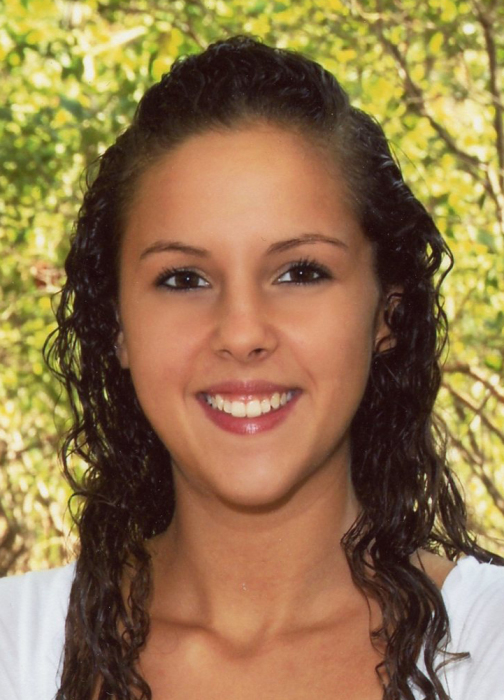 Kacie C. Grenier, 25, of Larchmont Drive, Coventry, RI, passed away on Friday, March 1, 2019 at home. Born on February 18, 1994 in Warwick, RI, she was the daughter of Aime J. Grenier and Denise (Danis) Grenier and the step daughter of Kim Grenier. Kacie was a graduate of Coventry High School class of 2012, a graduate of Community College of RI class of 2017 with a graduate degree in criminal justice. She was an avid beach goer, loved animals and especially her Dalmatian “Harper”. Her smile was so infectious it would light up a room. Besides her her parents and step mother she is survived by her maternal grandparents; Daniel and Joanna Danis, maternal step grandparents; Joseph and Rachel Pailthorpe, two brothers; Michael J. Grenier and Austin P. Recio, two sisters; Stephanie Grenier and Ashley Grenier and several loving aunts, uncles and sixteen cousins. She was predeceased by paternal grandparents; Richard and Rosalie Grenier. A funeral will be held on Friday, March 8, 2019 at 8:45 in the Gorton-Menard Funeral Home & Crematory, 721 Washington Street, Coventry, RI, with a Mass of Christian Burial in St. John & Paul Church, 341 South Main Street, Coventry, RI at 10:00 am. Calling hours will be held on Thursday, March 7, 2019 from 4:00 to 7:00 pm. Burial will be private.